Annotation: You’re no idiot, of course. You know who the first president was and who penned the Declaration of Independence. Yet even though the country is young in the eyes of the rest of the world, the United States became a superpower in fewer than 200 years. But you don’t have to brush the dust off your textbooks to learn more! 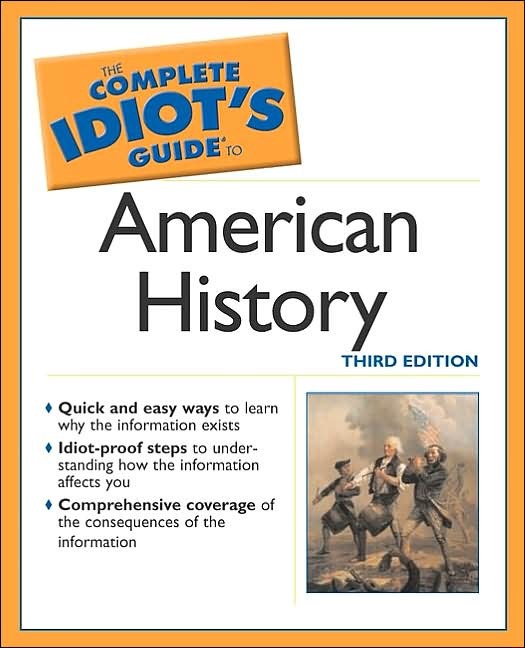 The Complete Idiot’s Guide to American History, Third Edition, will bring you up to date on the most important events and people that forged this country—and those that continue to do so today. Common Man or King Andrew? April 12, 1861, 4:30 A.M.
Stein, Fitzgerald, Hemingway & Co.
Would the West back down? Would this be the start of World War III? Emergence of Martin Luther King, Jr.
Hell, No! We Won ’t Go!